128 pages. 275x215mm. Printed on gloss art paper, hard bound with laminated board covers. The South Eastern & Chatham Railway Companies Joint Management Committee was formed in 1899 to manage the South Eastern and the London, Chatham & Dover railways. Although they remained separate concerns, after that date all locomotives and rolling stock bore the joint SE&CR lettering. This volume studies some of the carriage stock built for the SE&CR, from the perspective of both the railway historian and the modeller. It does not purport to be a complete history; the company built a huge range of carriage types, many of which were obscure and constructed in very small numbers. 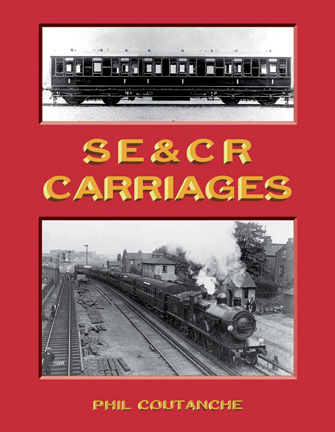 The author, a noted authority on SE&CR stock, has therefore assembled a cross section of fifty different types of bogie carriages within this volume, with which to give a strong flavour of the company’s passenger rolling stock. Each is illustrated photographically and with a 4mm scale plan, plus details are given of their build dates, number sequences and histories. 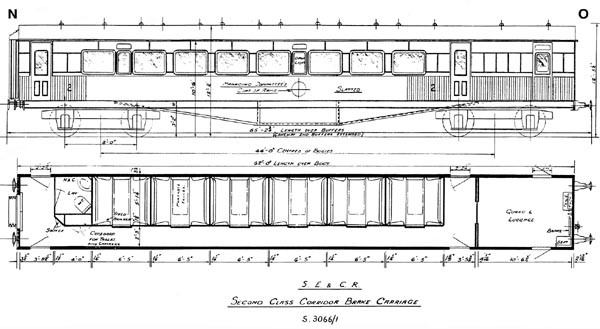 Separate plans cover the range of coach ends and there are appendices for livery details and coach renumbering under the Southern Railway after 1923. 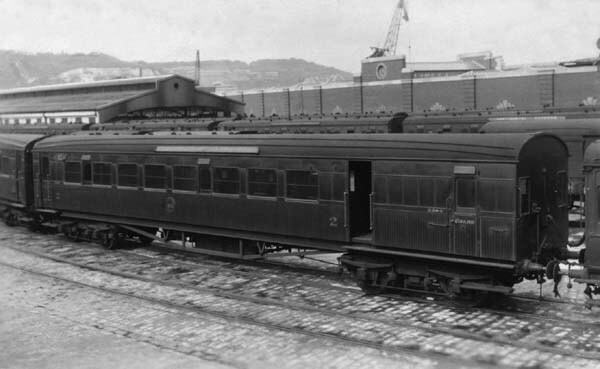 Many of the carriages were built in the company’s own Carriage & Wagon Works at Ashford, which is also briefly illustrated.